I know that Valentine’s Day isn’t exactly tomorrow, but it is less than a month away. 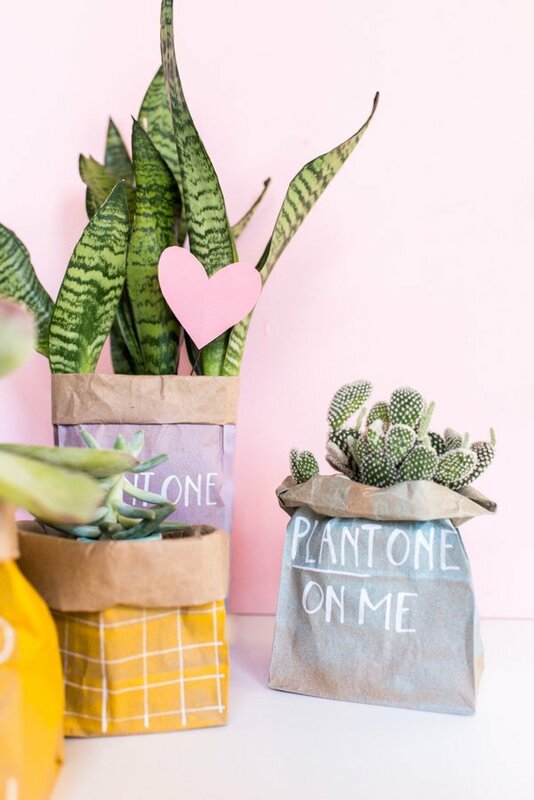 And I have a decent amount of Valentine’s Day DIY ideas to share, so as long as you’re cool with it, I’m going to start rolling some ideas out now. 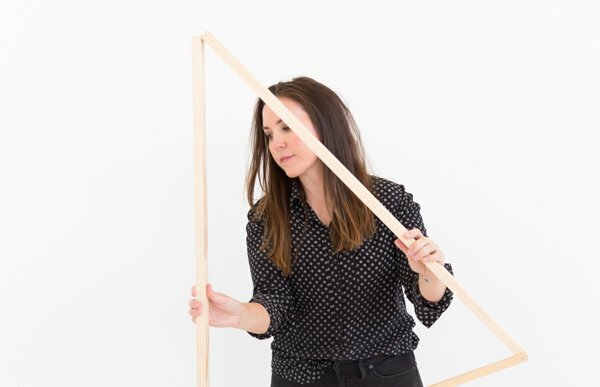 Plus, this way, no one will have an excuse for frantically trying to figure out projects and/or gift ideas last minute. 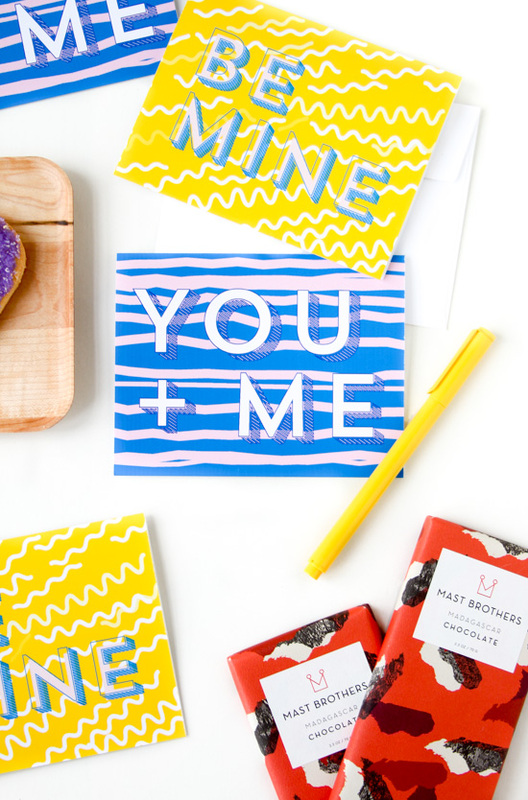 Do people actually freak out about Valentine’s Day projects and gift ideas? I don’t know, but I think you get the point. 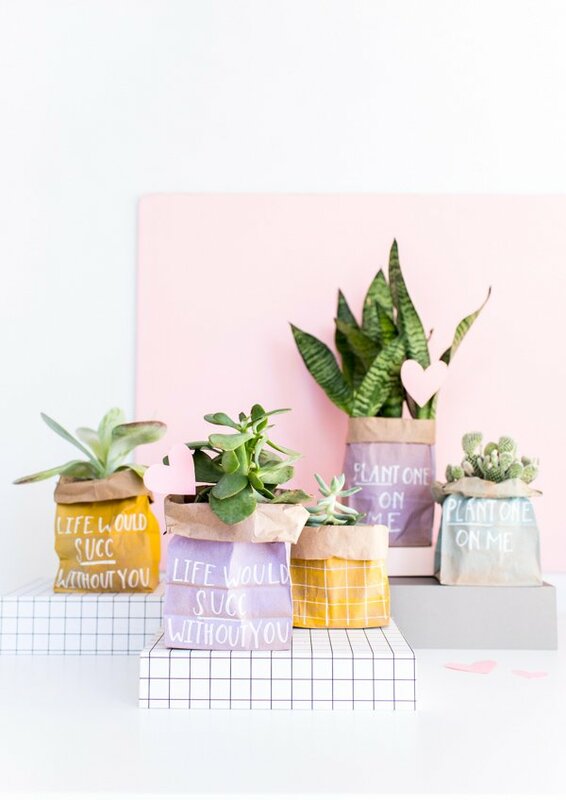 I wanted to kick things off with a SUPER easy gift idea that will only set you back a few dollars: DIY paper bag plant gifts. Bonus! You may even have everything you need already at your house, which would make this gift idea free. 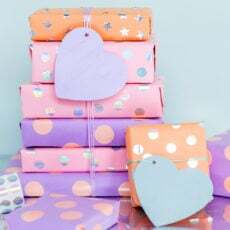 Yay – free gift ideas. Can’t hate on that, right? Plus, they only take a few minutes to make. Double win. Want to make your own? Click through for all the details. 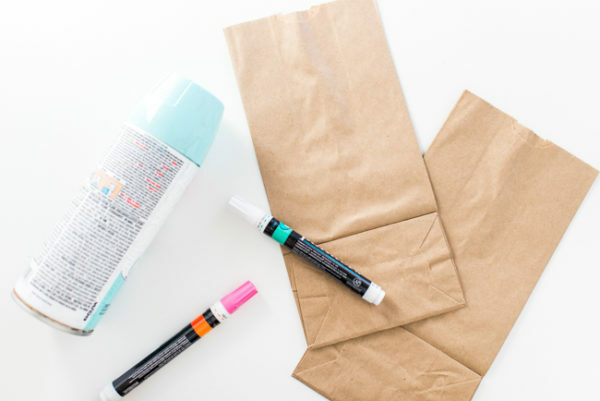 1) Start by spray painting the outside of your paper bags outside, in a well ventilated area. I found that you if you ad rocks or pebbles to bottom of each bag, they’ll stand up more easily as you are spray painting. Wait for the paint to dry and add a second coat if desired. Note: To get a gradient look, like you’ll see on a few of the bags, start spray painting at the top of the bag, spraying downward toward the bottom (but not to the very bottom). 2) Once dry, flatten the bags once again to make them easy to write on. And grab a paint pen. 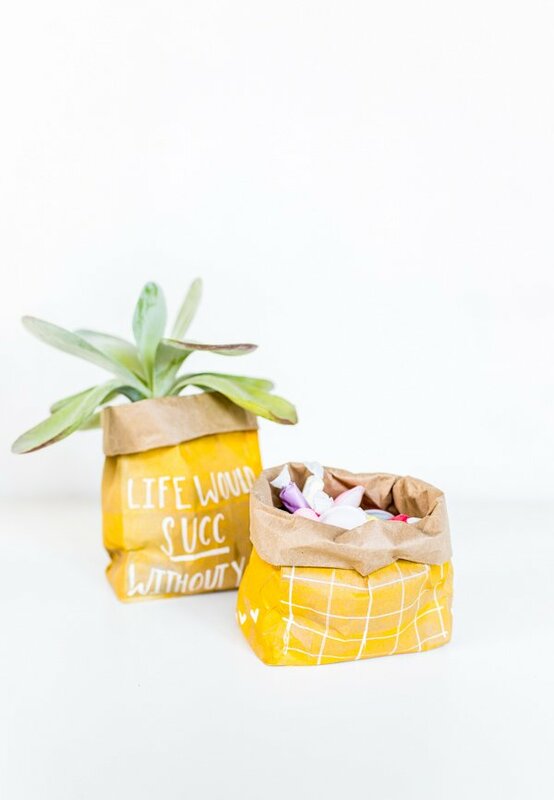 Select a message to write and begin writing toward the bottom of the bag (you’ll be rolling the top part of the bag down, so you want to make sure to do the writing toward the bottom, so it can be seen when finished). 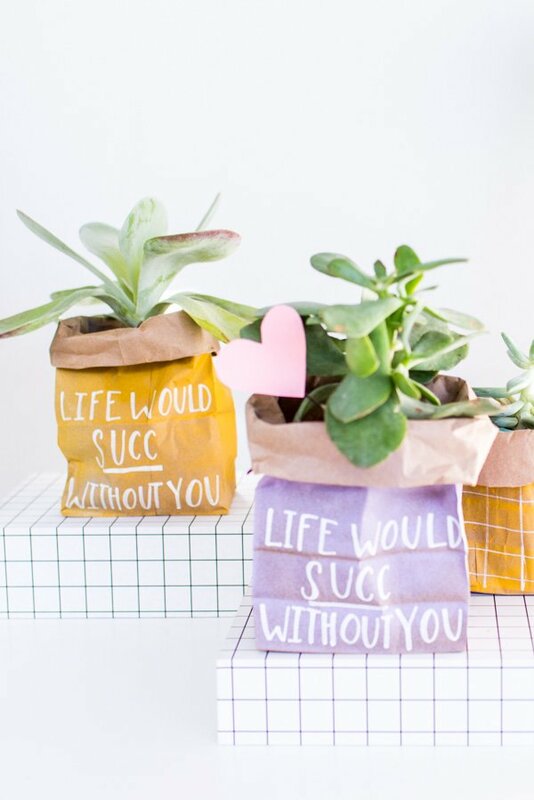 Message Options I Like: ‘ Life would succ without you’ (great for succulent gifts) and ‘Plant one on me’. If you think of any others, let me know. I’d love to hear what creative messages you dream up. 3) Once the paint pen message is complete (and dry), roll down the top of the bag several times. The first roll may slightly tear the bag, but it will be completely covered by the subsequent rolls, so don’t worry about it. 4) Next, add a plant and it’s ready to be gifted. 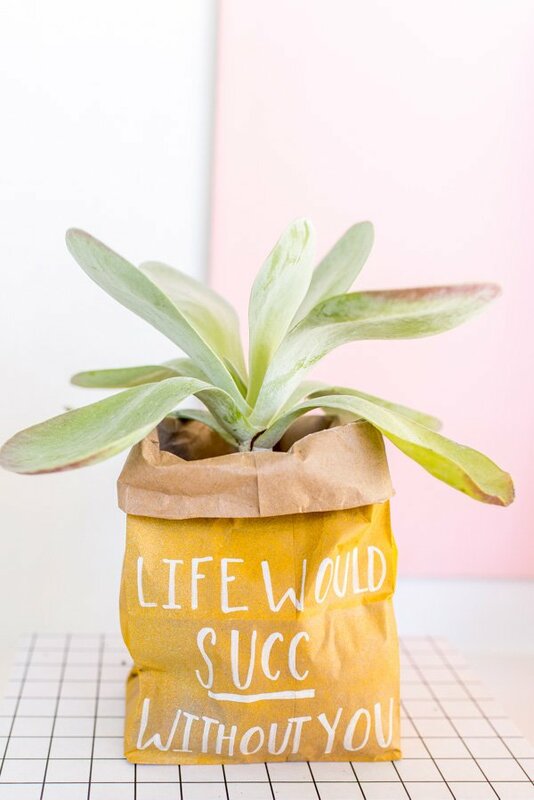 The idea is that the plant will be repotted after it’s give to your recipient, so you can just pack it right in the plastic container it came in. 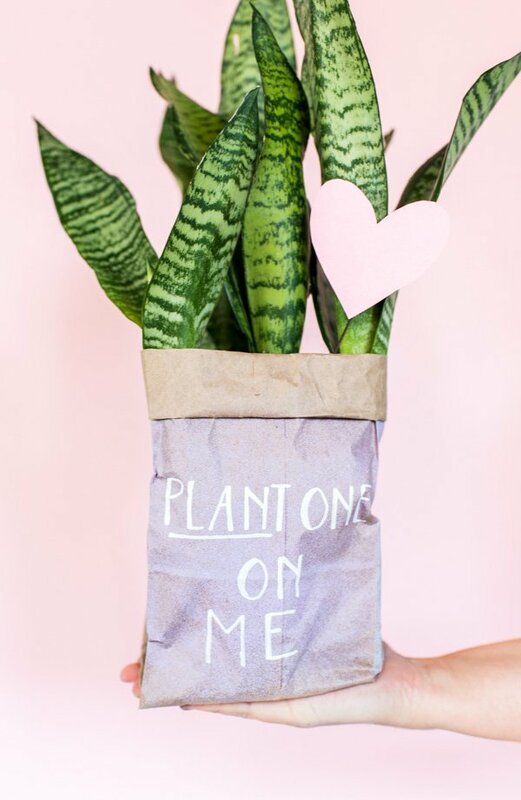 For extra V-Day flair, you can add some paper hearts to the potted plant with a wood skewer or piece of wire. 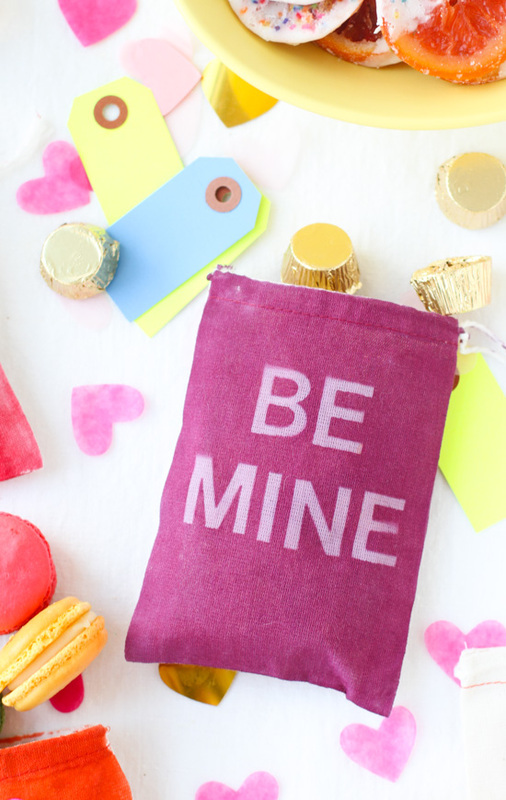 Think you’ll give these DIY Valentines a try? And more importantly, are there any other clever plenty related phrases we missed for this project? Let me know if you think of any. This is the cutest!!! I did this with gold spray paint before but I adore the pastel colours! Totally doing this for valentines! Thanks Alex. Let me know how it turns out. This would be a great gift for teachers, Emily (with a different phrase, of course). 🙂 I was actually thinking about that as I was making these. When I was teaching, I used to love little gifts like this from my students. 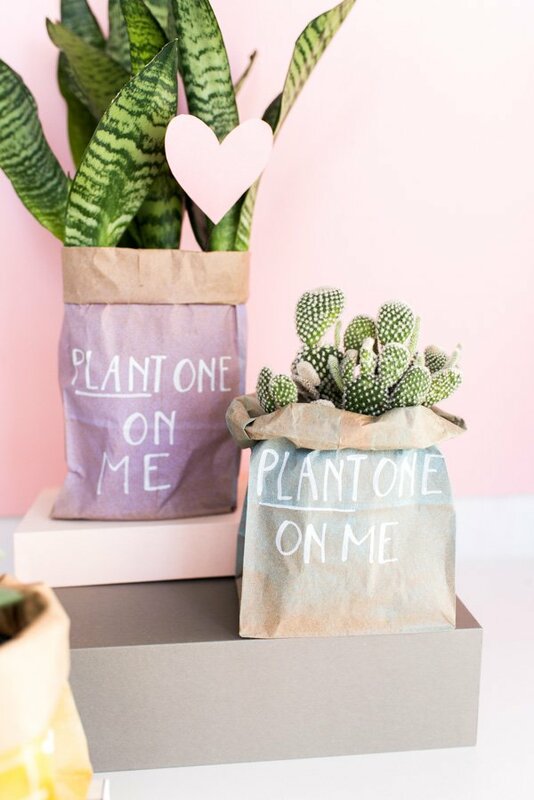 That is such a cute idea, even if you use the paper bag as a permanent vessel for your plant! I love the colours and the texture of the paper bag! Thanks Michelle. Good point! 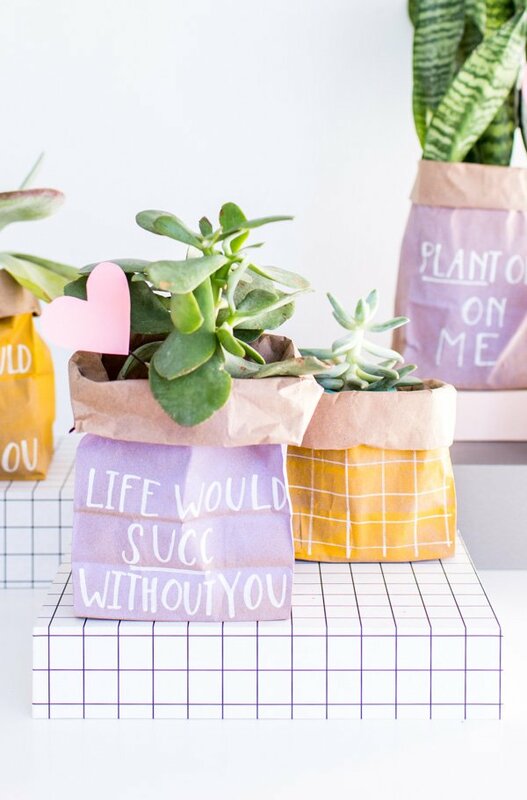 You could totally just keep the paper bags wrapped around the plants instead of replanting…You could write the Valentine’s Day message on one side of the bag and then do pattern only design on the back. That way, once V-Day is over, the person you gave the gift to can just turn the bag around to the pattern side and use it that way for the rest of the year. Love these! Saw them on Pinterest earlier and pinned them and they, by accident, I saw them here on your blog also 🙂 So cute! Clever project! How about “You’re growing on me”? Love that idea, Debra. That’s a good one! Ah so cute!!! Plus who doesn’t love getting plants?! These are SUCH cute Valentines! I’m a sucker (sucker? like succulent? I’m the worst) for puns and I absolutely love these! awwww sooo sweet!! My hubby loves plants and being in the garden so these would be great. I would have to buy the paper bags though I think. hmmmm . . .
What a great idea!! Perfect. Thanks Kelsey and Keri. It was a fun one to put together. This is so cute, I love!